Utah Vacation Homes was featured on the Park City Episode of Getting Away Together in early June 2013. LiveRez partner Utah Vacation Homes was recently featured in an episode of Getting Away Together, an international reality television series that highlights travelers staying together in professionally managed vacation rentals. The company was showcased in early June in the Park City episode, and in late June filming wrapped on a second episode in St. George / Zion National Park, which will also feature homes from the company. In just its second season, Getting Away Together is broadcast on more than two thirds of PBS Stations across the United States and in nearly half of the top 25 television markets. The show is broadcast in all 50 states and has the ability to reach 65 percent of U.S. households. In May, it was announced that the show will now also be distributed globally by Canamedia. Produced by the Emmy Award-winning team at PineRidge Productions, Getting Away Together is part of an awareness initiative by the Vacation Rental Managers Association. By highlighting the growing trend of sharing vacation rentals with friends and family, the show has helped professionally managed vacation rentals gain awareness as an increasingly popular alternative to hotels. The Park City episode follows three athletic young couples from Arizona on their summer vacation to Park City. During their stay, you see the group enjoying all that Park City has to offer. The couples partake in summertime ski jumping and bobsledding, zip lining and mountain biking. They attend an outdoor concert, take in Park City’s Sunday Market, experience a whisky tasting at a local distillery, enjoy dining at local restaurants and more. All the while, the couples make their base camp at one of Utah Vacation Homes’ stunning vacation rentals. You can find more information about the Park City episode at the company’s website. The full Park City episode is embedded below. And, you can view many other episodes of the show online at GettingAwayTogether.com. Film crews follow the action, as the cast family enjoys all that St. George and Zion National Park has to offer. 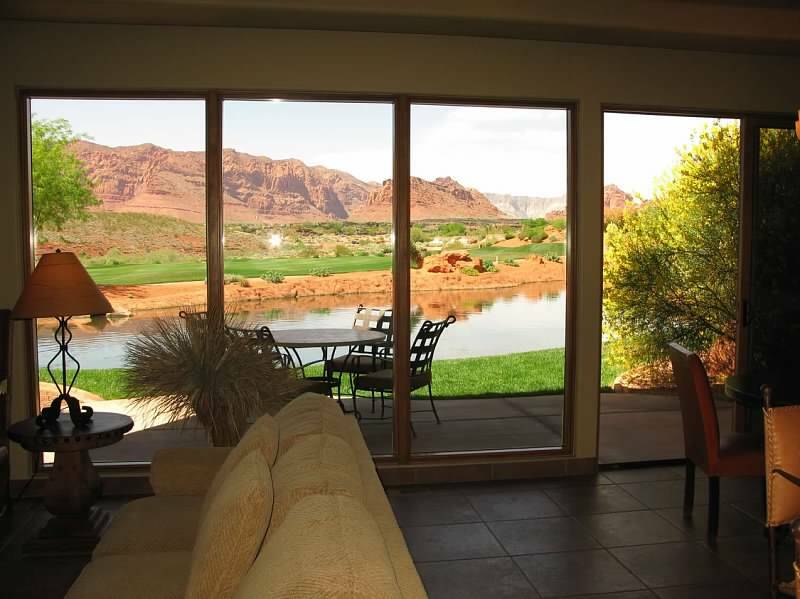 The St. George / Zion episode will feature a professionally managed vacation rental home from the Inn at Entrada, for which Utah Vacation Homes provides marketing and reservations. The “cast” family for this episode is a multi-generational group brought together to celebrate their patriarchs’ 40th wedding anniversary. The vacation brings together three generations in total: the couple, their daughters (and their husbands), and all the grandkids. Webb said the family had always wanted to visit Zion National Park, and this vacation allowed them that visit. It also featured some unexpected activities including ATV riding on red dunes, waterskiing at Sand Hollow State Park and Reservoir, attending Broadway shows at Tuacahn Ampitheater, learning sculpting from world renowned sculptor Ed Hlavka, and enjoying the world-class resort facilities at Entrada at Snow Canyon Country Club Inn and Resort. See more behind-the-scenes photos via the links at your left. For more information on Utah Vacation Homes, visit UtahVacationHomes.com. And, for more information on Getting Away Together, visit GettingAwayTogether.com.